I have been writing this post for months now. 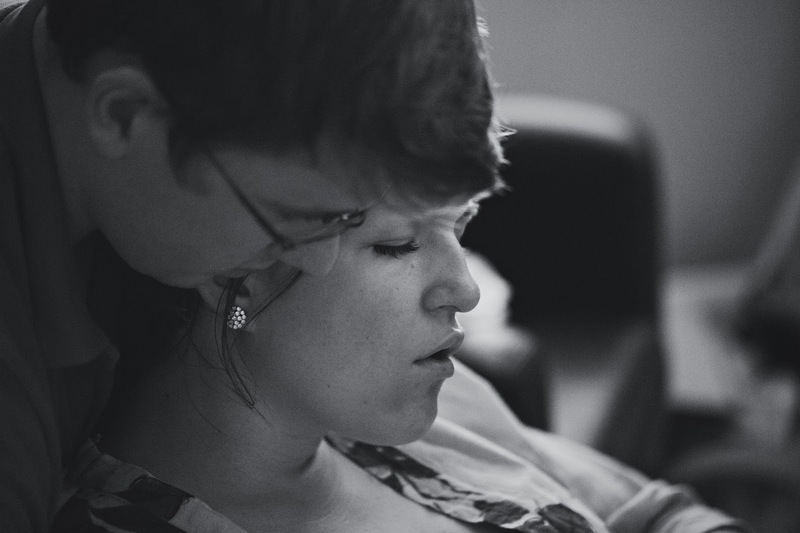 Before we even started trying to have Baby David, birth is something I became very passionate about. I read so many books. I often joke that my growing passion for pregnancy and birth is how God prepared me to have a baby and helped me to take the leap of faith. I love everything about birth. It is such a beautiful, spiritual process. A lot of my thoughts/perspectives below are not just based on logic, but also based on my own spiritual experience(s). I know some will disagree with my perspective, but I would love to hear your thoughts. My goal with this post is to encourage women to educate themselves on all things birth in order to make informed decisions and have an empowered birth experience. Go here to read David's Birth Story. When I first started researching, I learned about the midwifery model, an alternative to the medical model of birth. We all know that modern medicine saves lives during childbirth but often in America, I feel the routine practices of the medical model unnecessarily interfere with the natural process. Although I chose to have an unmedicated birth, I fully respect others' decisions to birth differently. I firmly believe women should have a choice. I choose to say unmedicated because from my perspective, all birth is "natural." It is a natural, beautiful process. What is most important is that women are educated on their options in birth. There are so many options when it comes to birth and you have to do what is right for you. But it is so important that you are educated and empowered. Childbirth matters physically and emotionally and we should encourage women to be active participants in their birth. Sometimes it is difficult for me to understand why someone would choose to be induced. This is one thing I feel particularly strong about. I know can be more convenient, but since when are babies ever convenient? ;) If it is a low risk pregnancy, let baby come in his/her timing. Trust in God and His plan. I feel it is an act of faith and trust in God when we allow His spirit to choose their birthday. When baby is ready, they send a hormone to mom and to the uterus to start preparing for labor. An induction significantly increases the risks of premature birth, hemorrhage, and cesarean (source). One thing that really surprised me is learning that Pitocin, the synthetic version of the natural "love" hormone Oxytocin, is actually from a cow and can give you "cow-sized" contractions. That may sound funny but can you imagine? Our little humans are not calves. The intensity of those contractions can easily put baby in distress (especially if they were not ready) and this can lead to a long labor or cesarean. This is not always the case and I have had a few friends with successful, easy inductions, but unless there is a reason (high risk pregnancy), why not let baby come in his own timing? It will be better for you and baby and it can also be a faith-building experience as you allow God to work in his own timing. As I mentioned, modern medicine does save lives and I agree it can be absolutely necessary. That is why I think it is all the more important for a women to be educated on options in birth, so she can make the best choices for her and her baby dependent on the circumstances. There are situations that would necessitate a cesarean or induction or another intervention. But I do believe these are the exceptions. The majority of the time, it is not necessary and our bodies will naturally do what they need to do to have a baby. Too often, we as women fear birth. Our society teaches us to fear birth from an early age via media. Birth is somewhat of a lost art. The beauty and understanding of birth has been lost over a few generations and as our society has become more medicalized. That fear can inhibit progress in labor (fight or flight sends blood to the arms and legs, away from the uterus). It is important that we know how to relax and let our bodies do what they were created to do - contract and expand to help baby make his/her way through the birth canal. If a woman cannot relax, an epidural can be helpful for some women to progress in labor. After having experienced birth, I can totally see why some people choose an epidural. But again, it is important a woman understands both the benefits and risks. The other day when I was talking with a friend, she said "You gave birth to a nine pound baby without an epidural?" This surprised me. Our bodies will not create a baby that they cannot give birth to. With the advent of ultrasounds, a lot of women are told how big their baby is at certain points in their pregnancy. Ultrasounds are notoriously wrong, even by as much as a few pounds. Do not worry about how big your baby will be! You will be amazed by what your body can do! Again, in our role as co-creators with God, I think it is so important that we trust in His plan and His timing. To sum up some of my thoughts you can listen to this TEDx Talk by Ashley Greenwald Tragash, PhD and Doula: "Who delivered your baby?" She says: "Imagine what birth could look like if we thought of birth from the perspective of an accomplishment and empowerment? Rather than pain and suffering and something that requires medication?" Tragash uses the metaphor of an elephant. Imagine if a human happened upon an elephant in the wild giving birth, a human would quietly hang back and only intervene if absolutely necessary. Why treat humans any different? I try so hard to understand different perspectives on birth and am always open to discussing and hearing others' opinions. Let's have a conversation. I know a few women as well that so wanted an unmedicated birth but for a myriad of reasons, it did not/would not work out for them. I want to be more compassionate towards other experiences. Every birth is beautiful because it is the story of how you met and fell in love with your sweet baby. I feel so privileged to know what I do. What an honor to look forward to birth as I do. Birth is such a beautiful gift and experience and one reason I am so proud to be a woman. My testimony of God and the Plan of Salvation has increased tenfold as I better understand my role as a mother and co-creator with God. 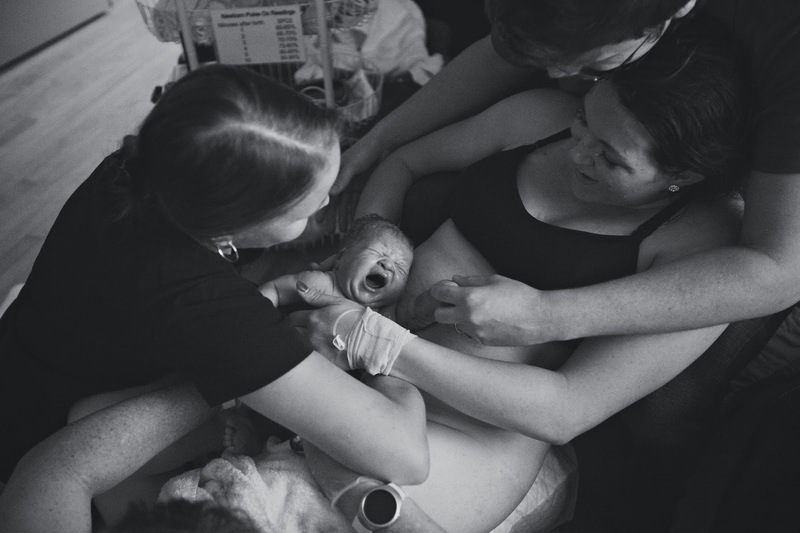 Why did I decide on an unmedicated birth? Trust - trust God, trust your body. As women, we already possess all of the tools to give birth. Faster recovery. I felt amazing and could walk around and move on my own quickly. The next morning I felt almost like myself again. Freedom during labor. 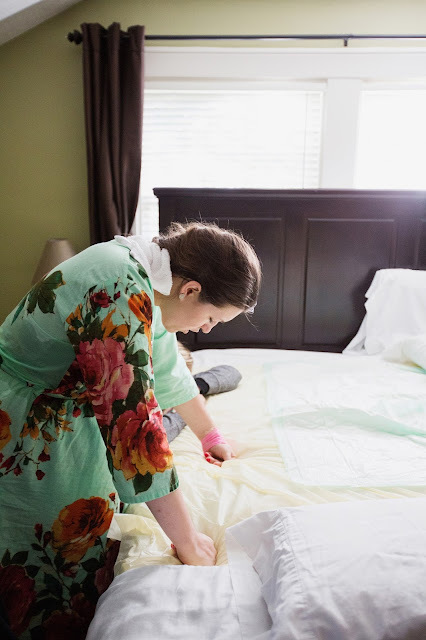 I wanted to freely eat and drink and move around during labor as I needed to stay comfortable, engaged and relaxed. Baby was alert and active immediately. Experience - To really see what I was capable of. From so many stories and books I had read, I wanted to experience the power of my body as I went through contractions and pushing. Why not try? Control - less likelihood of surgical birth. My mom had three cesareans and I wanted to do everything in my power to set myself up for a successful vaginal birth. Empowering. More satisfying birth experience. David turned 9 months on the 18th. He is so fun and has the most contagious smile. I never want to forget these sweet moments. This boy is our whole world and has made life infinitely better than we could have ever imagined. I cannot imagine life without him. Cannot believe he has been out almost as long as he was in. This boy...oh my heart. We love our Davy baby! I'm obsessed when he sits on his knees...it is the cutest thing ever! Every year, my mom hosts a little "Green Party" for St. Patrick's Day in March. Everything is green and it is so fun. Best of all, it is an opportunity for the family to get together and spend some quality time. We also celebrated our little Tori's 13th birthday and that was fun. Cannot believe she is now a teenager! I remember so vividly when she was born. Also, side note, I think we will work on a more natural green food coloring for next year...maybe some spinach? Too. much. green. He is just happy that Glamma let him have the remote. He has the sweetest bond with my grandpa. And then we started the string of photos with our tongue sticking out...I sure love my family!